Renovation of homes is a big step as it involves a lot of money, planning, efforts, and time. You will want to ensure the completion of your project with minimum or zero errors. If you get it done by the experienced contractors, then you can get maximum benefits with an optimum investment from your side. After all a home is a place where you spend maximum time of your life. It is the place of happiness for many, because it is not only the place where you reside, your heart resides there too. It is the place where you unite with your family members after a long day. So the question here, is if you should you hire a home remodeling expert, or go for the DIY option. Remodeling is a complicated process involving complex jobs to be performed. It is best suited to leave that job to the professionals, who are well trained for the job. There are some real dangers associated with these jobs too. You will need proper tools and knowledge to work renovation projects. So let’s have a look at all the benefits of hiring a contractor. Established Company: If you choose a home remodeling professional from your area, you would most certainly be able to get reviews about his work from your sub-ordinates. That will be very useful because it will give you an idea about his working style, reputation and decide if he matches your requirements. He would never fail to deliver on a contract signed. Quality of Work: Professionals are trained in their respective fields. They should obviously be the choice when it comes to something as important and diverse as home remodeling. The industry is very competitive and only the best companies can survive in such an environment, therefore if you choose a contractor you are assured to get quality service. Permits and clearances: There are so many laws that vary from state to state, according to which you need permits, before performing certain jobs. A solar power system can only be installed by certified personals. Similarly, an electrical job also requires certain qualification to do the work. 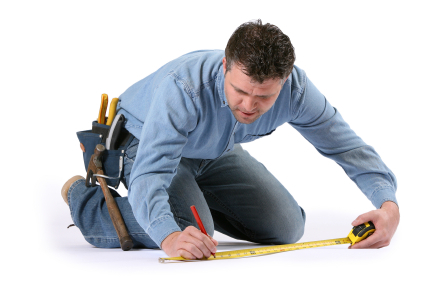 Hiring a contractor would surely release you of the tensions of getting a permit and then DIY. Good Records: You would obviously choose a contractor who has good work record and a brand image in the market. This would ensure that the quality of your renovation work is not compromised by any means. Material and tools: This is another aspect that should be carefully planned. Material takes much of the cost of renovation and it is hard to find all the materials and supplies at one place. This problem can also be negated if you hire a contractor to do the job. Not only will it save you the hassle of procurement, it may also save you money because contractors buy material in bulk and hence these materials cost less. Make sure you hire only the best San Diego design and remodeling contractors for you home improvement projects. Their experts will provide you the best solutions according your needs and budgets. You can get their contact information by visiting their websites. Next : Why Your Business Needs More Bandwidth Than You Think?